At Calvary we have volunteers who come in the middle of their work day to teach a class; we have volunteers that give up sleep to make sure women at Calvary feel safe and secure; and we have volunteers that cook truly delicious meals. We implemented a milestone gift program for volunteers this summer, and wanted to find a way to show our gratitude to individuals who do all of the above and even more. The Rock Star Club was created for volunteers who go above and beyond in their commitment and dedication to Calvary’s mission. 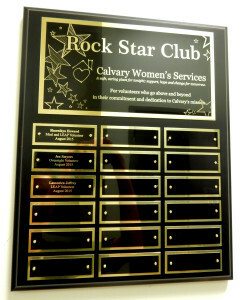 Rock Star Club volunteers receive a personalized award and their names are displayed on a special plaque. 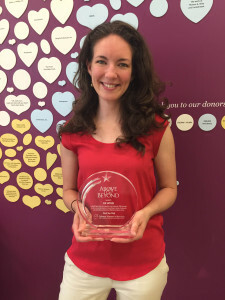 Jen Smyers is an overnight volunteer who has spent over 1,000 hours on-site, and has been volunteering for eight years. Her longevity is unmatched and her commitment to spending a few nights at Calvary each month is always deeply appreciated. 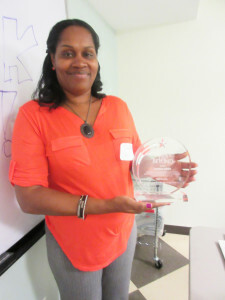 Sharnikya Howard is a leader in group volunteering. Every month she brings a group to Calvary to serve Sunday lunch. She also organizes Spa Day twice a year, which gives residents a day to relax, be pampered and feel their best. 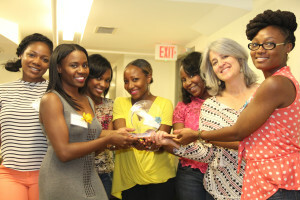 It’s a day that the women at Calvary cherish! Lamonica Jeffrey meets the definition of a consistent and dedicated volunteer. 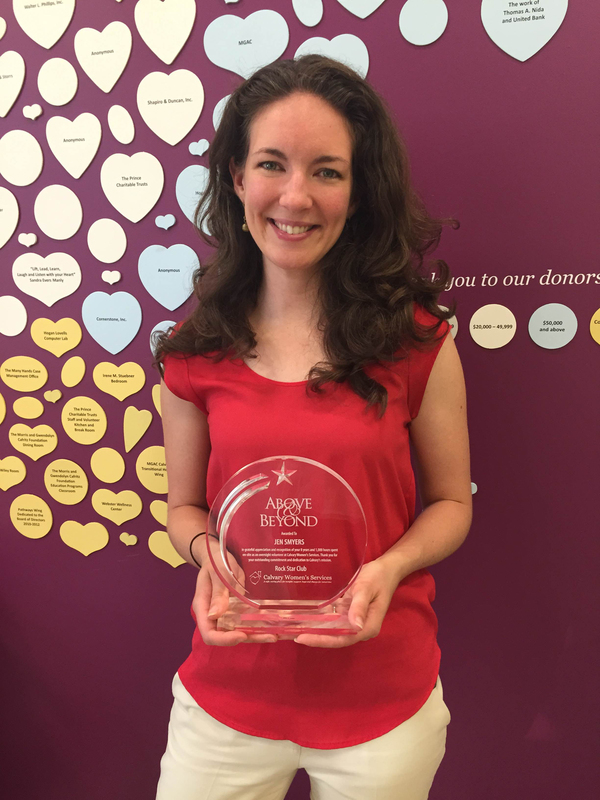 She started volunteering as a LEAP facilitator in June 2014. Ever since she started teaching over a year ago, we know we can expect her each and every week. There are a number of volunteers who are almost ready to join the Rock Star Club for their efforts! We are so excited to show our thanks for everything they do to support women at Calvary.